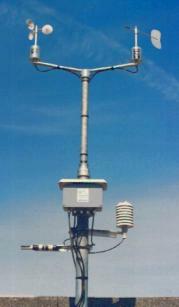 Many popular dataloggers, including those from Campbell Scientific, NRG (Symphonie), Ammonit, Skye Instruments (Datahog), Kintech and Secondwind loggers (Nomad 2) to name only a few, are compatible with our wind/weather instruments and together form very capable Automatic Weather Stations (AWS) suitable for many applications, including wind assessment. We can work with a number of datalogger and automatic weather station manufacturers to source/supply various datalogging/AWS systems configured with our wind/weather sensors. Please contact our sales office with full details of your requirements. For those applications requiring 4-20mA for wind speed and direction, various solutions are available - please contact our sales office. Many of our anemometers and windvanes can also be connected directly to PLCs or other similar control systems in Industrial or similar applications such as Wind Turbine Control and Monitoring. Please contact us with details of your application and we will be pleased to quote for a system meeting your needs. Page Rendered in: 0.377766 seconds. - Powered by Mambo.